Mobile payment and commerce platform Paytm on Thursday announced receiving an investment worth USD 1.4 billion from Japanese Internet and telecom major SoftBank Group. This investment will help Paytm grow its leadership in the country's payment ecosystem, expand its user base and build a suite of financial services products for its users. However, the largest ecommerce platform in India, Paytm, plans to invest Rs. 10,000 crore (approximately USD 1.6bn) over the next three to five years towards enabling half a billion Indians to join the mainstream economy. Owing to the same, it plans to soon launch the Paytm Payments Bank, a mobile-first product that will reach every corner of the nation, and focus on the millions of unserved and under-served Indians. 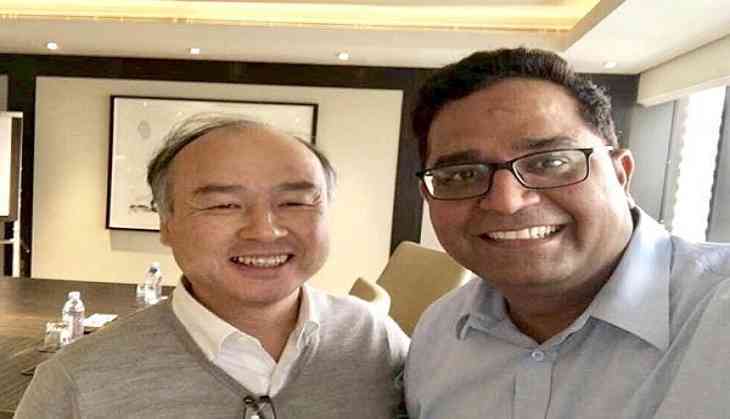 "This investment by Softbank and support of the incredible entrepreneur Masa Son is a great endorsement of our team's execution and vision," said Paytm Founder and CEO, Vijay Shekhar Sharma. Viajy further said that it is a great opportunity for the company to bring financial inclusion to half a billion Indians. "In line with the Indian government's vision to promote digital inclusion, we are committed to transforming the lives of hundreds of millions of Indian consumers and merchants by providing them digital ?access to a broad array of ? ?financial services, including mobile payments. We are excited to partner with ?Paytm in this journey and will provide them with all our support," said Chairman and CEO, SoftBank Group Corp., Masayoshi Son. Earlier, Paytm launched zero cost QR Code-based payment solution, which was adopted by millions of merchants, and has become synonymous to digital payments in India. In addition, Paytm witnessed an uptake in its movie ticketing and travel booking (rail, bus and flight tickets) businesses. The company recently collaborated with MMTC-PAMP to launch digital gold on its platform.